Bajil bella tarai which stands for beaten rice, jaggery and coconut is a very traditional Mangalorean breakfast. 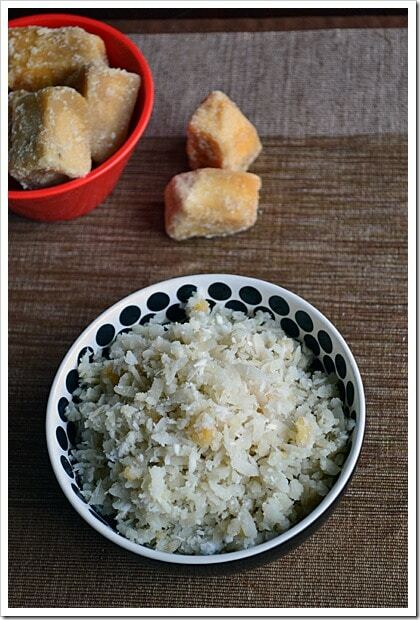 Also known as Sweet beaten rice, Bajil bella tarai has made its way to our breakfast table umpteen number of times. It is very easy to pull it together, it is one of my favorite breakfasts. Add ghee, grated jaggery, cardamom powder and grated coconut. Mix well and serve. Hi there! A quick rinse of the poha softens it up but doesn’t make it soggy especially when you are using thick poha. This is how my mum/grandmom used to make it. I would love to experiment with melting the jaggery and adding cardamom to it – thanks for the suggestion. You are welcome, Varun 🙂 Your comment made my day. Hi Anu, this recipe reminded me of my childhood days, we get the same as prasad at native place. 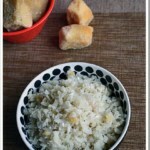 Thanx for posting such an authentic recipe, which usually some of the ppl know to prepare. Hi Jayshree – Thank you for stopping by :). You are welcome. Last time I stopped by our ancestral temple, they gave Bajil as prasad as well.